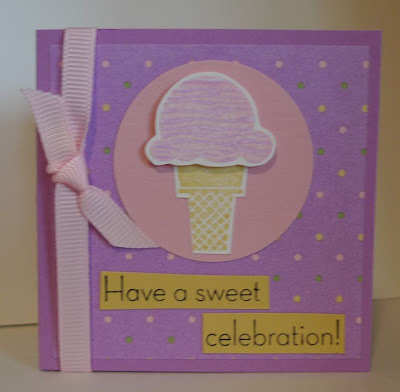 Karina's Kreations: Sweet Scoops Card! This stamp set is too cute!!!! It's called Sweet Scoops and is new from the Summer Mini catalog. It's only $19.95 in the clear mount stamp set style. This is a 3 x 3" card.